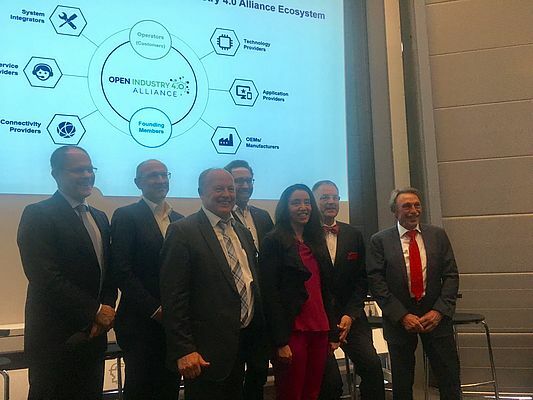 The foundation of the Open Industry 4.0 Alliance was announced at Hannover Messe 2019 by seven leading suppliers from mechanical engineering, industrial automation and software. With this cooperation, the companies want to overcome proprietary solutions and give a decisive boost to the digital transformation of the European industry. The alliance members are planning to realize a so-called Open Industry 4.0 Framework based on existing standards such as I/O Link, OPC UA and RAMI for the entire route from objects in the workshop to services. Customers can choose from a modular system of compatible and scalable solution and service components, such as digital services from Endress+Hauser’s Netilion IIoT ecosystem. The connection to the SAP software portfolio ensures the integration of a company’s business processes as well as collaboration with partners across company boundaries. The open architecture allows the simple connection of further system landscapes.